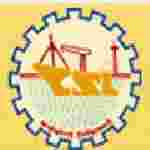 Cochin Shipyard Assistant recruitment 2016-17 notification apply for 395 posts : Cochin Shipyard limited welcomes application for the position of 395 fabrication assistant, outfit assistant, semi-skilled rigger, general water (Canteen), project assistant vacancies on contractual basis. Candidates who completed their SSLC, ITI, VII class, diploma is a good opportunity.The individuals who are the occupation seekers searching for govt employments in Kerala this is the best chance to apply. Competitors read the official notification then read all the guidelines and miners precisely then apply before the last date online application got. All the interested and eligible candidates can apply online before 24th August 2016. Candidates Age Limit: The age of the candidate is 30 years. The age of the applicant should be as on 24th August 2016. Academic Qualification Details: Candidates should have passed SSLC and ITI and national apprentice – ship certificate in the respective field. Process of selection for the job: The selection of the candidates for the position of Fabrication / outfit assistant / general worker canteen and semi – skilled rigger will be on the basis of practical test and for the section for the position posts of project assistant on the basis of OMR based objective type written examination. Process of applying for the job: All the interested and eligible candidates can send the print out along with self – attested copies of certificates and demand draft send by post to the Chief General Manager (HR), Cochin shipyard limited, Kochi:- 682015 on or before 31st August 2016.